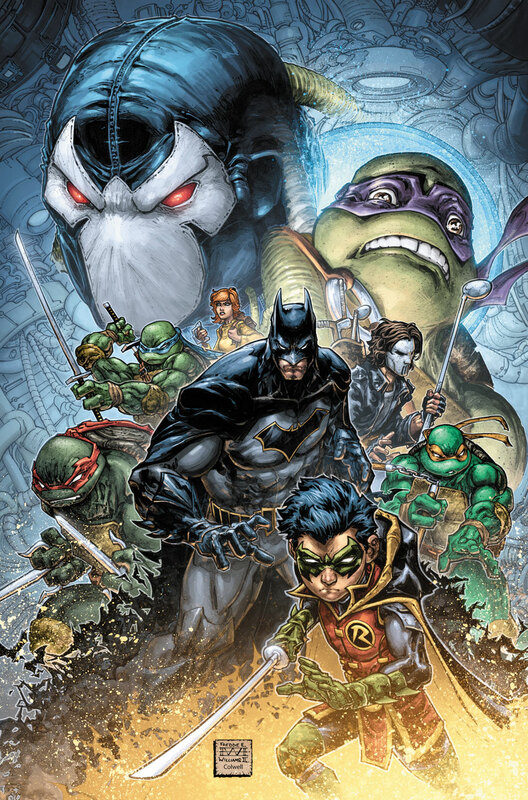 The story this time around features Donatello opening a portal to the DC Universe so he can ask Batman to be his mentor — but instead he finds Bane on the other side. With Bane loose in the TMNT universe, Donatello must find Batman and bring him back before Bane takes over New York. Both issue #1 and #2 will arrive in December. TMNT creator Kevin Eastman will provide variant covers.